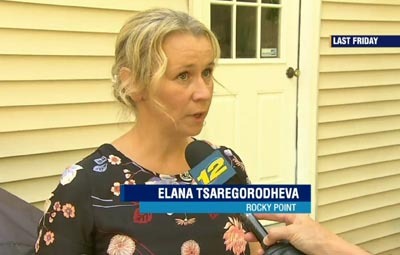 Four legged friends (and enemies): New York: Pregnant woman attacked IN HER OWN FENCED YARD by three pit bulls, her two pets both mauled to death - and she finds out that these same pit bulls had attacked a dog just last week. Suffolk Police gave the dogs back to their owner(!) and left. 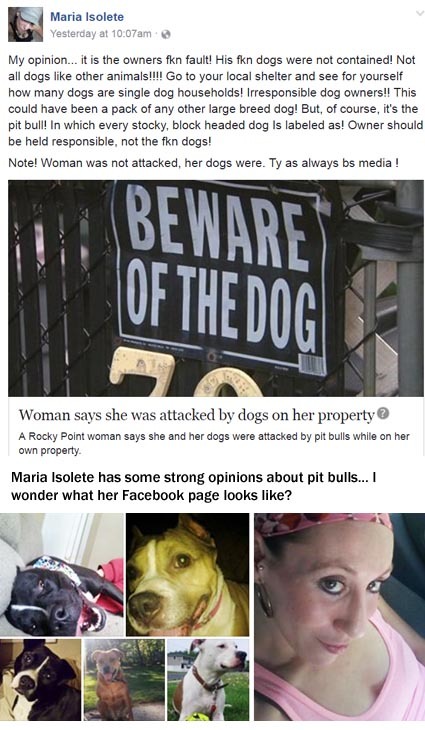 New York: Pregnant woman attacked IN HER OWN FENCED YARD by three pit bulls, her two pets both mauled to death - and she finds out that these same pit bulls had attacked a dog just last week. Suffolk Police gave the dogs back to their owner(!) and left. 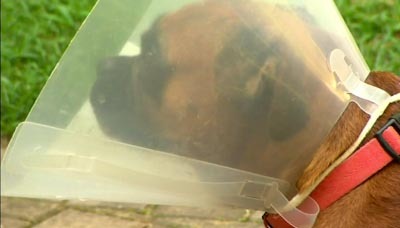 NEW YORK -- A Rocky Point woman says she and her dogs were attacked by pit bulls while on her own property. 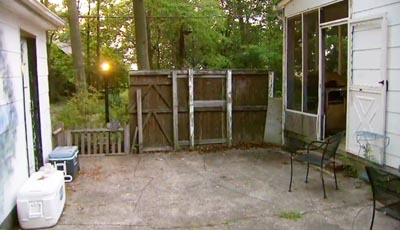 Suffolk police say Corey Doherty was in her backyard when, all of a sudden, a trio of pit bulls showed up. 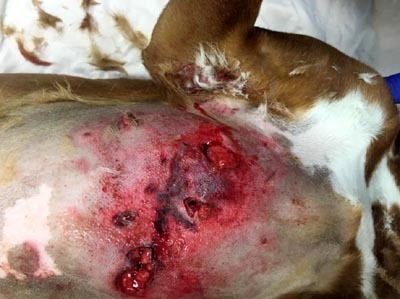 "Charged down as a pack, jumped over the fence and went after my dogs," Doherty says. "They attacked the one and was ripping his insides apart." 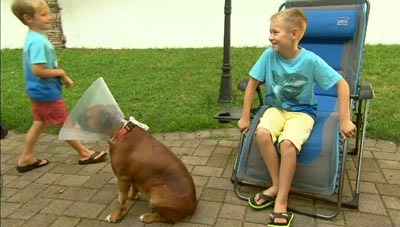 Doherty, who is 4 months pregnant, adds that she tried to fight off the attacking dogs. 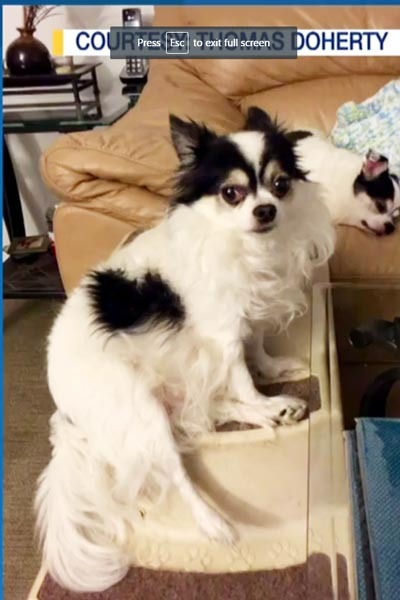 She was able to save two of her beloved Chihuahuas, but 10-year-old siblings Bentley and Remy were killed. Thankfully, her 1-year-old son was inside the house at the time [otherwise he probably would've been attacked as well]. 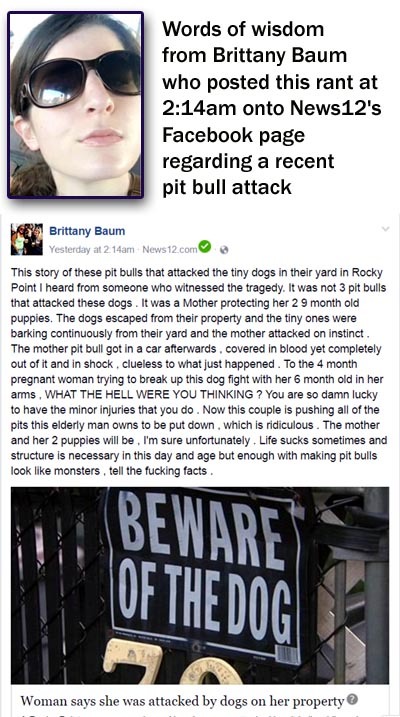 Brookhaven Animal Control confirms the three pit bulls that attacked Doherty are the same ones that nearly mauled a Boxer to death in Rocky Point last week. Why didn't they do anything last week about these killer dogs??? 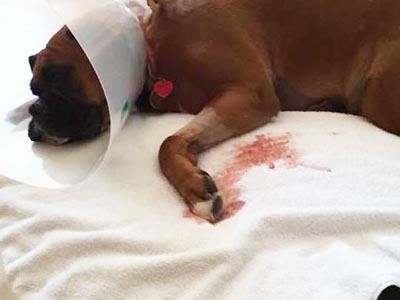 Brookhaven officials say after the first attack on the Boxer, FOR SOME REASON, Suffolk police released the dogs to their owner before the town's animal control unit could arrive. 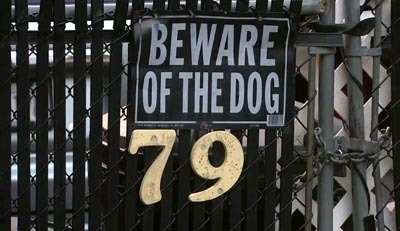 However, NOW they say the pit bulls are now in the town's possession. 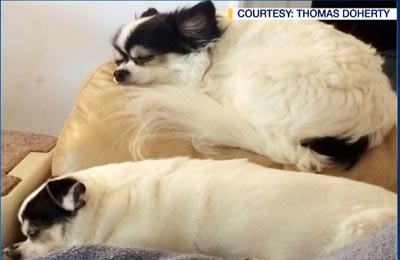 News 12 reached out to the dogs' owner, Peter Connelly, via phone. He apologized but declined to further comment. Meanwhile, Doherty and her husband, Thomas, along with other neighbors, say Connelly has other pit bulls inside the home, which cannot be allowed. 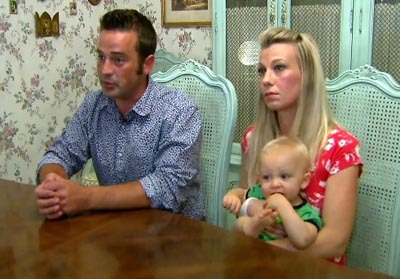 The Dohertys say they cannot return to their home as it is too emotional and difficult to do so. Did you research Peter Connelly's history with these dogs? Read that he was in court a year earlier for some problems (?) with these same dogs!